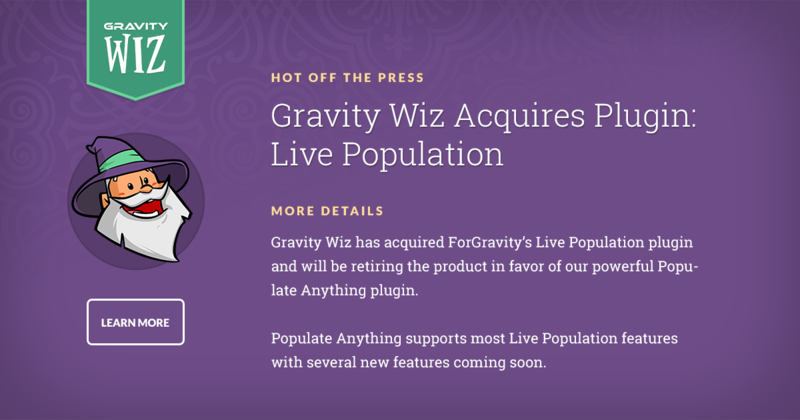 Gravity Wiz has acquired ForGravity’s Live Population plugin and will be retiring the product in favor of our powerful Populate Anything plugin. Below you will find an overview of how you can use Populate Anything to accomplish the same functionality you’ve come to enjoy with Live Population. 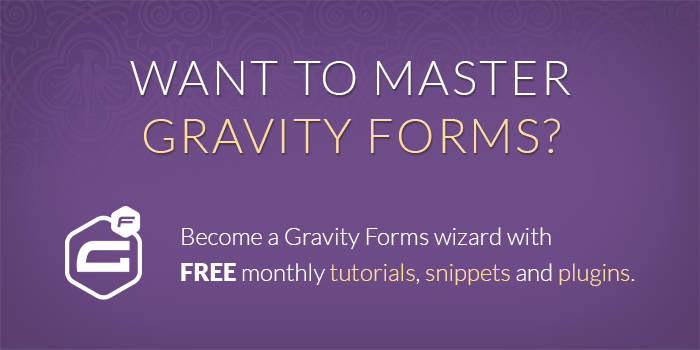 Important — If you are an existing Live Population license holder, please contact ForGravity for support. This feature is available now with Populate Anything’s Live Merge Tags feature. Live Population supports replacing merge tags in choice values and labels. This feature is coming soon to Populate Anything. Populate Anything already supports populating choices dynamically with almost any kind of data. We do not have definite plans to port this feature into Populate Anything. We’d love to hear from you if this is a feature you want in Populate Anything. This is possible on multi-page forms with our List Field as Choices snippet. This feature is coming soon to Populate Anything.